To those who wish to participate in the games in Nara and Wakayama, what about visiting the superb scenery created by mother nature? 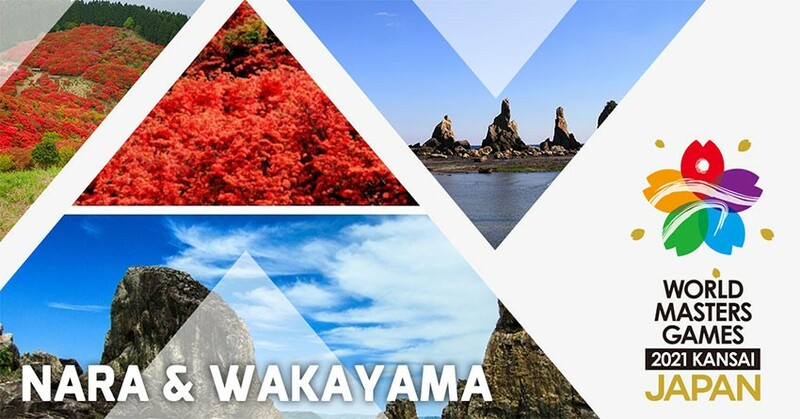 We are going to introduce some of the recommended spots in Nara and Wakayama where you can enjoy the “red” and “blue” scenery. The access between Nara and Wakayama is surprisingly good! 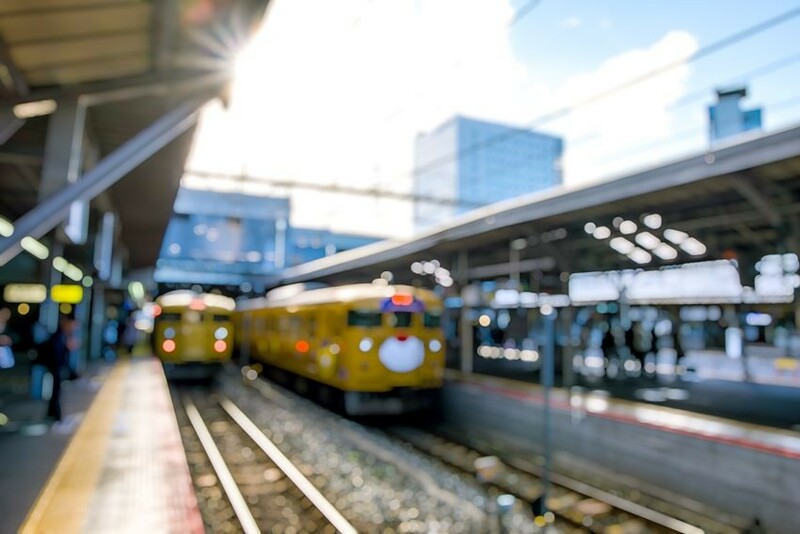 With the Nankai Main Line Limited Express Train Sazan departed from Wakayama City, you can reach Nara easily by transiting to Kintetsu train at Osaka Nanba. It is recommended as it takes only about 2 hours and is cheaper. You can go to Wakayama from Nara in approximately 2 hours by taking the JR rapid train. It requires almost the same time and is easier for transit. It is highly recommended for those who visit Nara and Wakayama for the very first time. From early May to mid of May, zaleas, also known as “million azaleas at a glance”, are in full bloom. 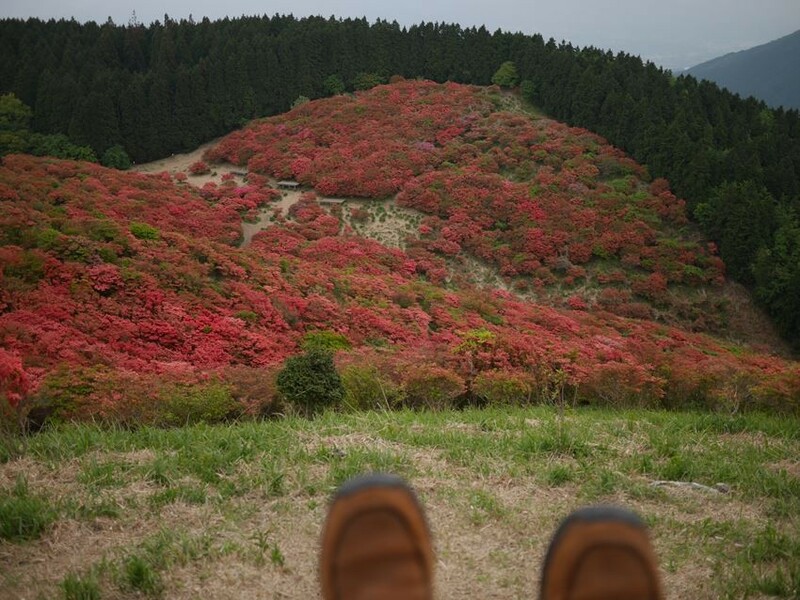 The mountain area turns into a red carpet of azaleas and the view is truly magnificent. Since it is around the same time World Masters Games 2021 Kansai is held, please take the opportunity and visit! There is no happier time than a good meal after exercising and a “duck hotpot” is just perfect to have for such moment “Duck hotpot”, the famous delicacy of Katsuragi City, is made using soup stock made from mountain’s spring water and yuzu, and fresh duck meat. As Yuzu is good for recovery from fatigue, the hotpot serves as a perfect meal after exercises! 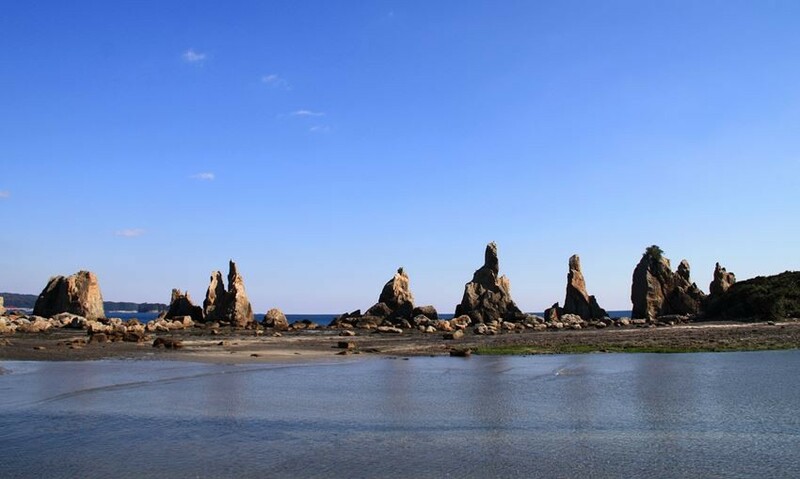 The name of the “Hashikui-iwa Rock” in Yoshino Kumano National Park, Wakayama prefecture comes from the fact that sea erosion has left the rocks, in an orderly line, looking like stakes of a bridge. Legend has it that the Kobo Daishi (Kukai) built the Hashikui-iwa rocks overnight when he was betting with Amanojaku Monster that he would build a bridge in one night. Get energized with a sunrise on the day before the match! Hashikui-iwa Rocks is famous as a spot for “sunrise”. The view of the sun rising from the horizon and the light through the gap between the strangely shaped rocks is truly overwhelming. There is no doubt that you will be overflowed with energy after seeing the sunrise before the match! 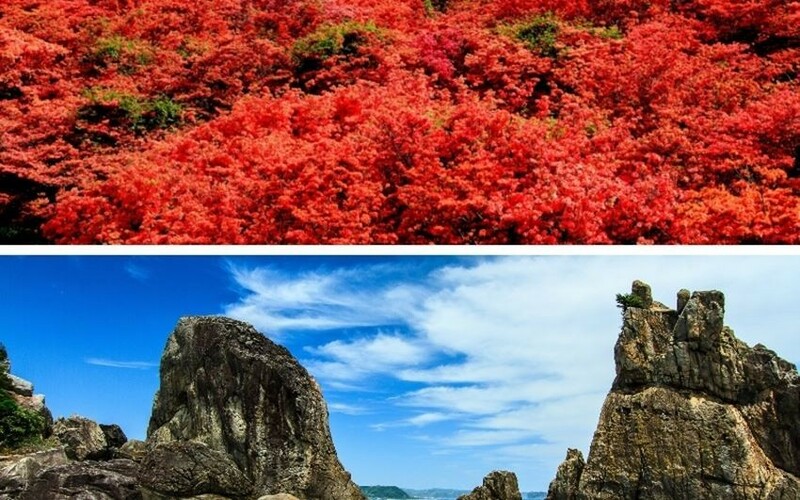 Have you seen the “Red” in Nara and the “Blue” in Wakayama? “Color” is quite important in a match: the color of your sport wear or your team color. Please share with you your thought and info on “color” and sports!